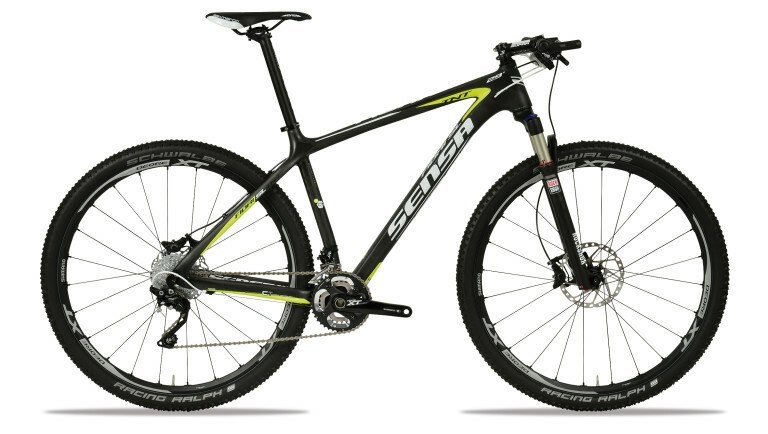 A guide to help you get your head around the different models that make up Sensa’s 2015 MTB range. 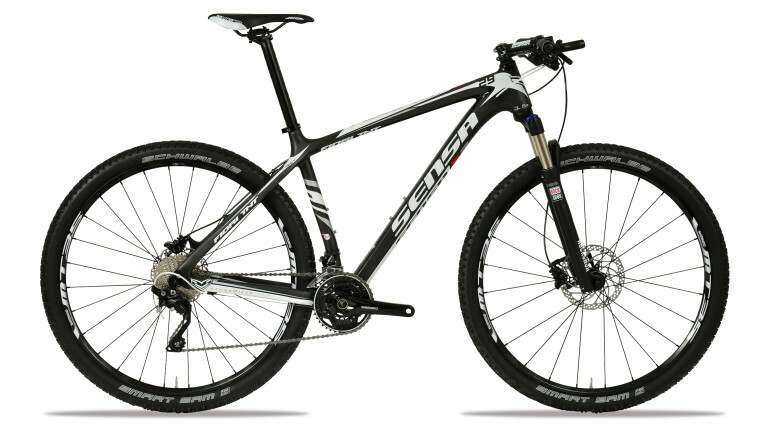 First things first, Sensa mountain bikes are designed for XC (or cross country). This can be XC riding or XC racing. Sensa mountain bikes are meant for crossing maps and climbing. Spending long pedally days in the saddle or hammering it for a couple of hours out of the saddle. The second thing to understand is that virtually all Sensa bikes are available in both 27.5″ and 29″ guises. This is perhaps the most important decision you need to make. Do you get the 27.5 version or the 29″ version? Sensa call all of their 29″ bikes ‘TNT’ (Twenty Niner Technology). We could spend ages debating this one. Each wheel size has its pros and cons. Leave a question in the comment box below if you have any thing you’d like answering specifically. The way that Sensa have designed their bikes does however make it a bit easier and more logical. It’s essentially to do with how tall you are. 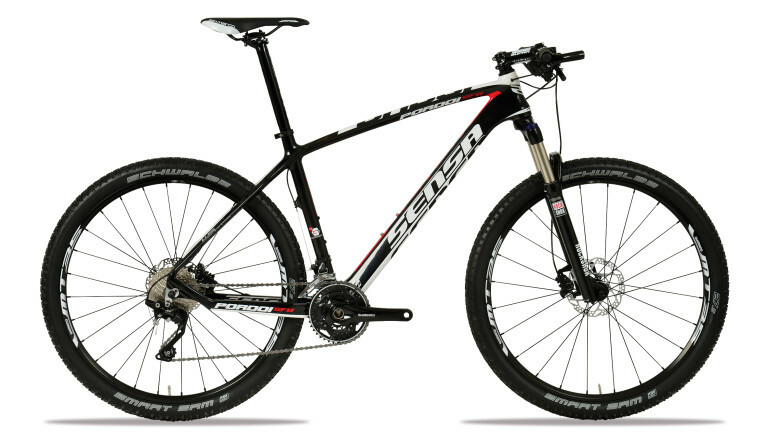 If you’re 51 10″ or over – look at the 29ers. If you’re under 5′ 10″ – look at the 27.5 bikes. Now these aren’t absolutes. They’re guidelines. 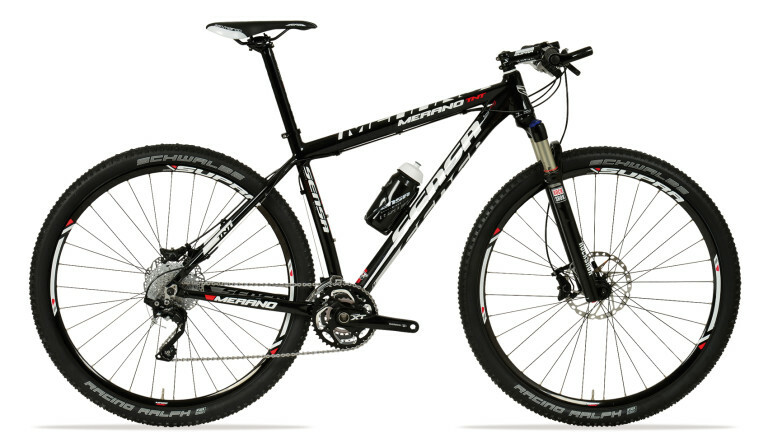 If you’re 5′ 7″ and fancy a 29er – go for it. If you’re a lanky beanpole who wants to stay on a smaller wheel – do it. It’ll be okay. The Sella is Sensa’s entry level mountain bike. 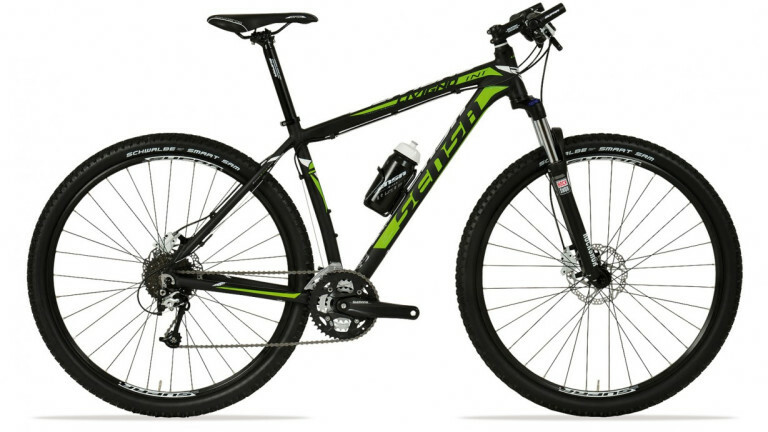 It’s a mixed terrain sort of bike built up with solid, dependable stuff and based around a decent aluminium frame. It may not be the lightest of bikes but it will handle most things that beginner bikers or commuters will ask of it. The Shimano gearing range is nicely broad and usable. The riding position is comfortable and capable. The Shimano hydraulic disc brakes are powerful. The Suntour suspension fork will be a stout and dependable performer. The Schwalbe Smart Sam tyres are biased towards less-aggressive terrain so will suit milder, mile-munching riding. The rest of the finishing kit is provided by Sensa’s own in-house Supra brand which means impressive performance without the usual lofty price tag. Available in 27.5″ and 29″ versions (this is an old post and the linked content no longer exists). The Livigno models use the same aluminium frame as the Sella but the rest of the bike is built up with higher level of quality components. These components can withstand a bit more full-on mountain biking. And they also save a bit of weight too (almost a couple of pounds saved). The RockShox XC30 fork up front is a really impressive fork at this level. There’s nothing that comes close really. The gears and brakes are from Shimano’s well-respected XT and SLX groupsets. So there’s nothing to worry about there. The rest of the finishing kit – seatpost, handlebar, stem etc – is from Sensa’s own Supra in-house brand but this time it’s the ‘Comp Line’ of components which are just that little bit lighter and better finished. The Merano sports a triple butted thin-walled Y-9 aluminium frameset. The finshing kit is Supra’s top end ‘Speed Line’ stuff. The Meranos are a couple of pounds lighter than the Livignos). The frame is completed with a modern tapered headtube up front for an aggressively low ‘n’ stiff stance. Plumbed into this is a quality RockShox fork – either a XC30 TK Air (Merano Comp) or a Reba RL (Merano Pro). Shimano provide the gears and brakes. Shimano M506/SLX/XT mix for the Comp and full XT for the Pro. The Sensa Merano is up for long haul XC rides and will be more than capable of doing a bit of XC and marathon racing too. Available in 27.5″ Comp (this is an old post and the linked content no longer exists), 27.5″ Pro (this is an old post and the linked content no longer exists) and 29″ Comp (this is an old post and the linked content no longer exists), 29″ Pro versions (this is an old post and the linked content no longer exists). The Pordoi is unusual in the 2015 Sensa range in that it is only available in 27.5″ wheel size. The Pordoi is Sensa’s entry level carbon fibre hardtail. Entry level carbon bikes are still not exactly what you’d call ‘cheap’ (£1,223.99) but the Pordoi does offer a remarkable amount of bike for the money. To achieve the price point you’d expect there to be some serious cost-cutting speccing going on. You’d be surprised. RockShox XC TK30 Air tapered fork. Shimano XT/SLX groupset. Supra Speed Line components. Don’t get us wrong, the Pordoi is first and foremost that carbon fibre frame. It’s a frame built up with stuff that’s intended to be upgraded over time. But the Pordoi will still cut it as a mean machine hardtail from the get-go. The BVM76 carbon design is deliberately a tad less full-on race-bore than the Sensa Fiori models. It’s a bit more forgiving and isn’t quite so insanely light. The Sensa Pordoi is a bike for going on long rides on and for spending a long time with. Available is 27.5″ wheel only (this is an old post and the linked content no longer exists). Right then. The Fiori models take a bit more explaining than other Sensas. Essentially each Fiori model is different. There is one 27.5″ version and two 29″ versions. Starting with the lowest priced Fiori – the Fiori TNT Comp (this is an old post and the linked content no longer exists) – it’s a 29″ wheel bike that uses Sensa’s previous top end carbon fibre frame and builds it up with no-nonsense kit. There’s less R&D to pay for in the 2015 Fiori TNT Comp as it’s a frame that has been around for a year or two already so the price can reflect that. The bike is built up with decent mid-level equipment like a RockShox XC32 TK Air suspension fork, Shimano M506/SLX/XT groupset mix and Supra’s Speed Line components. The Fiori SFB Pro is a 27.5″ wheel bike with a brand-new-for-2015 carbon fibre frame (MG48C monocoque modular carbon). The whole front half of the frame has been beefed up in stiffness to offer improved handling and power transfer. The rear stays have been reworked to offer a more compliant ride when putting the power down in the saddle over the rougher stuff. The head angle has been relaxed ever so slightly to better cope with the increasingly technicalities of modern XC and marathon race courses. 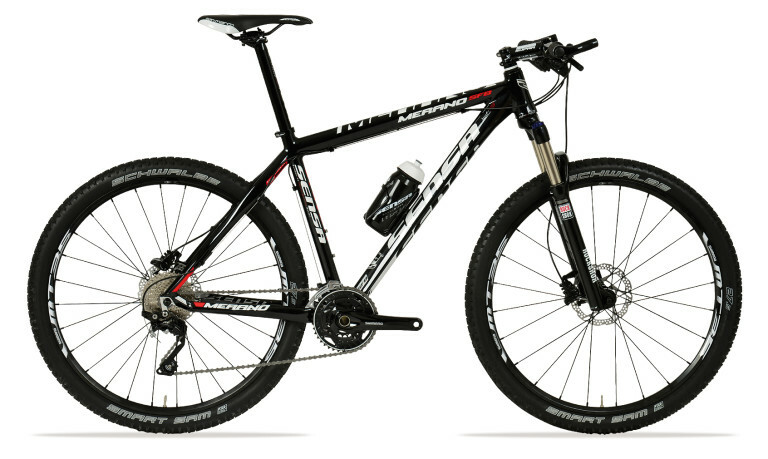 The Fiori SFB Pro is Sensa’s flagship 27.5″ wheel race bike. The Fiori SL TNT Pro is a 29″ wheel ultra-light carbon fibre frame race weapon. 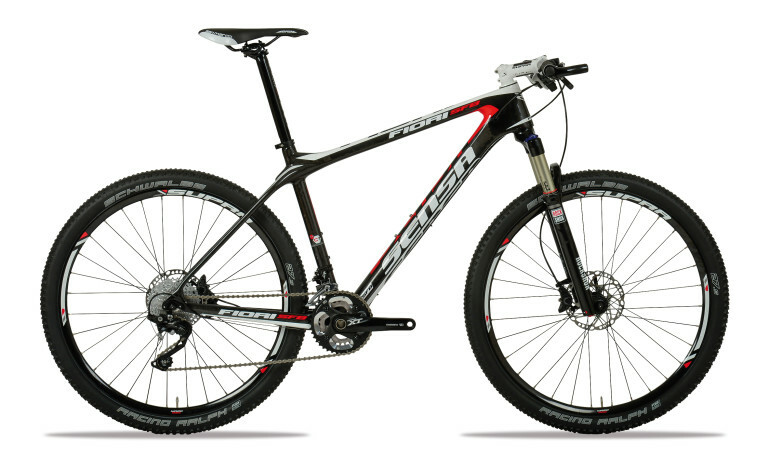 Sensa have taken their previous 29er Fiori and put it on a diet and fitness program. It’s lighter and stiffer than ever. 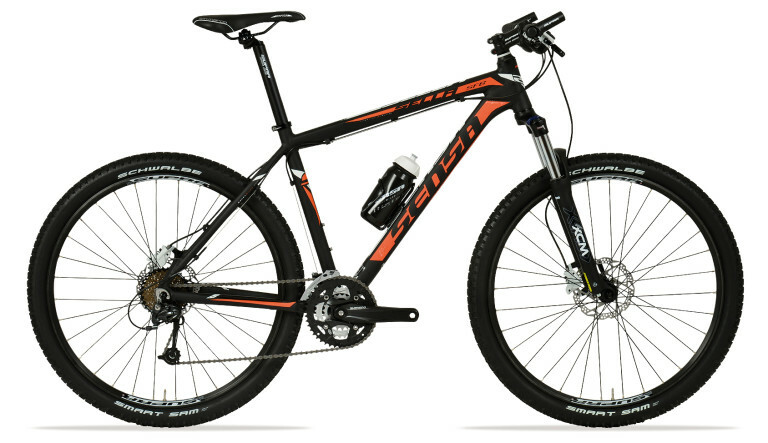 An exciting aspect of the Fiori SL is that it’s one of the first mountain bikes that is fixtures-ready for the new wave of electronic gear shifting on mountain bikes. Yep, Shimano’s Di2 technology is making the move from road to MTB. Now then, the Fiori SL does not come supplied with electronic shifting (it comes with regular XT mechanical shifting). It is just ready to accept it should you wish to upgrade to electronic shifting in the near future. In other words it has the stoppers and guides all in place. The Fiori SL TNT Pro (this is an old post and the linked content no longer exists) is the most cutting edge mountain bike that Sensa have ever produced. Tagged 27.5, 29, 29er, 650B, di2, fiori, fiori sl, hardtail, livigno, merano, pordoi, sella, Sensa, xc. Bookmark the permalink.